Overwhelmed by the residential demolition project at hand? Trust Diamond for your complete Residential Demolition needs. Regardless of your project or site size or complexity – we can do it…and we’ll do it right. Our expertise in concrete, excavation and demolition make us a perfect partner to tackle what’s on your list. 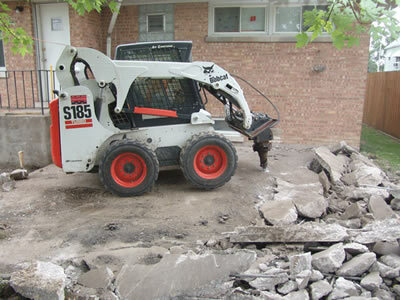 Most of our residential demolition customers are either homeowners or home builders. We understand that the investment of money in your project is also part of getting you closer to satisfying your long-term dreams. For some customers their dream is as simple as removal of an unsightly patio structure…to others, its razing an older structure to build a dream home. No matter your goal, trust Diamond Concrete to deliver results on-time and with integrity. 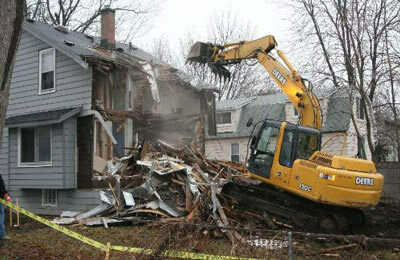 We are the local experts for your Residential Demolition projects. Give Diamond Concrete and Excavation a call today at 937.310.3081 or complete the Request an Estimate Form to the right to get a FREE Estimate on your next Residential Demolition project.